Red Seam Dreams – Page 11 – For baseball geeks who think a 162 game season is way too short! The Rockies bullpen for 2016 – it’s better than you think. No, really! Some nails, a fresh coat of paint, et viola – the Rockies have a new and improved bullpen. The new “secret” in baseball that everyone knows, appears to be that you can win by putting together a strong bullpen. The Royals did it, or so it seemed. So this off-season the Rockies stayed out of the starting pitcher free agent market and instead acquired some low cost, old guys who are former closers, then traded a starting left-fielder, Corey Dickerson, for a bona-fide, hard-throwing, young beast-man closer in Jake McGee. Did they do enough, and will it matter? What rebuilding team spends assets on a premier closer? News flash – the Rockies don’t want to be seen as a rebuilding team. Their actions show that they believe they are at the end of a rebuild and ready to start playing with the big boys, hence the trade for a closer. Jake McGee is a big lefty who tosses projectiles with celerity – the 95 to 98 mile an hour kind of celerity that scares the crap out of hitters – he nailed Chase Headley in the chin last season – an experience that would have caused most mortals not named Chase Headley to take an online accounting course, and retire from baseball. In spite of that slip, McGee has excellent control walking 2.0 and 1.9 hitters per nine innings in each of the last two seasons. Last season was a struggle for McGee from a health standpoint. He started late after recovering from having his elbow scoped, then missed time at the end of the year with a torn meniscus in his knee. He has already had Tommy John surgery (2008) and returned from that throwing hard. He mowed down 11.4 and 11.6 batters per nine innings in each of the last two seasons. McGee instantly becomes the closer for Colorado taking over from John Axford, who is now in the A’s pen. McGee was more commonly used as a setup guy and co-closer with the Rays, but unless he has a chance encounter with Bigfoot or is implanted with alien technology, he won’t suddenly fall apart with the new designation. McGee isn’t the only pitcher sporting a flame-thrower in the Rockies’ pen next season. Jairo Diaz can touch 100 with his fastball – and talk about scary – for most of his career he hasn’t been certain of the pitch’s destination once it left his hand. Finally, for a 21 game stretch at the end of last season, something worked. Whatever tweaks the Rockies, and pitching coach Steve Foster talked Diaz into trying, worked and Diaz kept his walks per nine innings to 2.8 while maintaining a strikeout rate of 8.5 per nine innings. It is reasonable to believe that Diaz would have been tried at closer had the Rockies not acquired McGee. How they use him now will be dictated by his control and manager Walt Weiss’ trust in the rest of Diaz’ pen-pals. Adam Ottavino was killing it in April of last season. In 10 appearances (10.33 innings) the tall righty stuck out 11.3 batters per nine innings while only walking 1.7. Both numbers were trending in the right direction for each of the last three seasons. Ottavino was looking like he might steal the closer’s job until his elbow went boom, and he got to experience Tommy John surgery. It is unclear how soon he will return – likely at some point in the first half of 2016 – and how good he will be when he returns. If he comes back close to where he was when he left, then the Rockies have three tough, hard-throwers to finish games. Part of the reason the Rockies had the worst bullpen in all of baseball (and football – you know – if they had bullpens too), was the loss of Ottavino. Getting him back, and adding McGee and a full season of Diaz will change the Rockies fortunes when they have a lead going into the 7th. The Rockies started their off-season with two signings that left some in the baseball world scratching their heads. For $3 million, the Rockies got 37 year old Chad Qualls, and for another $4.5 million, they picked up 33 year old Jason Motte. Qualls is as consistent as a reliever gets. He gets about 60% of the batters he faces to beat the ball into the ground then run cussing toward first base. He strikes out somewhere between 7.5 and 8.5 batters per nine innings and walks about 2.3 per nine innings, although the last two seasons have seen his walk rate drop below two. It is a common refrain that pitchers who induce a lot of ground balls have the most success in Colorado. Qualls gives the Rockies bullpen depth, a groundball machine, and less meaningfully – a guy who used to be a closer back in 2011. Even though Qualls is 37, he remains consistent and should be able to handle the challenge of Coors Field. If he can’t, at least he was relatively inexpensive and might be a piece they can flip for a middling prospect at the trade deadline. Jason Motte was also a closer once, and has a formidable, dark beard that makes him look like the dwarf, Gimli. I’m not sure if Motte is a skilled miner or can wield a battle axe, but as a relief pitcher he was fearsome, shooting flames with his speed ball of doom and slider of Nimgar. Sadly, our hero was felled by Lord Thomas of John, and he hasn’t been the same since. Not all pitchers bounce back from Tommy John surgery in a year, but last season ended early for Motte with shoulder pain so it wouldn’t be wise to count on him for any heroics. That said, if he comes back to a touch more than where he was before he was shut down last season, he will give the Rockies a serviceable bullpen arm, and shorten the game for the starting pitchers. In the meantime, it is reasonable to expect the 3 to 1 strikeout to walk rate that he put up last season in Wrigley. His 3.61 FIP (ERA independent of fielding), and his league average park-adjusted ERA from last season would have been quite useful for the Rockies last year. If that’s all they get, then they should be content. It’s not like they are paying him to be the one ring to rule them all. At the time the Rockies signed Boone Logan, he was just coming off two seasons with the Yankees where he was a monster, striking out more than 11 batters per nine innings with FIPs in the threes and hits per nine in the sevens. He also did two things that should have given the Rockies the jibblies at his signing. He walked a bunch of guys, 3.67 and 3.82 per nine innings in 2012 and 2013 respectively, and let batters launch the ball toward space at a high rate to become a souvenir on the other side of the fence – 1.0 and 1.6 home runs per nine in the same time span. So when Logan came to Colorado for his first Coors Field experience and compiled a 6.84 ERA, gave up 2.2 home runs per nine innings, and walked 4.0 men per nine innings of work, the Blake Street faithful shouldn’t have been too surprised. Ugly numbers – but he also struck out 11.5 hitters per nine innings, so it looked like the beast was in there, but confused. Last year, the world went back to spinning closer to its normal direction for Boone. Still pumping a mid-90’s fastball, he again struck out more than 11 batters per nine innings but managed to keep the ball in the park, allowing only 0.9 long balls per nine innings. The walks continued to plague him as he allowed 4.3 men to amble to first base unperturbed. Logan looked a lot like the guy the Rockies thought they’d signed, as his FIP plummeted from 5.13 to 3.62, matching his FIPs from his days in the Bronx – 3.67 in 2012 and 3.82 in 2013. So if that’s what the Rockies wanted, then that is exactly what they got. His hits allowed per nine innings were up from his New York days, but that is to be expected in Coors Field. Logan faced almost exactly the same number of righties as he did lefties even though lefties put up an OPS (on-base percentage plus slugging percentage) of .602, while righties waxed him at a rate of .909. With the improved bullpen depth, Walt Weiss might consider using Logan as a lefty specialist to maximize his value. 25 year old Scott Oberg had pitched a total of 107.67 innings professionally coming into 2015. In all of those innings pitching in short relief, he had allowed a total of seven home runs. Last season, pitching at AAA and in the majors, Oberg gave up 10 home runs in 66.33 innings. Until last season he had never allowed more than 7.2 hits per nine innings – last season he allowed 15.8 in a short stay in AAA and 8.9 in the majors. The righty has posted ever-shifting peripherals with a strikeout to walk rate at all of his stops in the following order: 4.83, 2.26, 3.50, 5.50, and in his major league audition that lasted 58.33 innings his rate was 1.42. For many young pitchers there is an extended break-in period as they get used to how their pitches work at altitude and what adjustments they have to make to succeed in Denver. Looking at Oberg’s season by month, his home run rate dropped off in the last two months and his other stats improved as well. He gave up only two home runs to the last 120 batters he faced – none to the last 50. If the decreased home run rate holds then maybe Oberg will turn into a useful piece in a veteran bullpen. If not, he will get a chance to make himself useful while toiling for the Isotopes of Albuquerque. Another arm that the Rockies will likely put to use in their pen is Justin Miller. Last season, he was one of the more useful arms to pitch in relief. Like almost everyone in the Rockies pen, Miller throws hard – up to the mid-90’s. Not a ground ball pitcher, Miller still kept the ball in the park allowing only two home runs in 33.3 innings pitched. He put up a spectacular strikeout rate, fanning 10.3 batters per nine innings. His control was solid and he just didn’t allow batters to get hits, with a walk rate of 3.0 per nine innings, and a hits per nine innings mark of 5.7. His FIP was a spectacular 2.65, but the question is can he repeat his 2015 numbers or even come close? Interestingly his numbers look remarkably similar to his 2014 minor league numbers so perhaps this is a sign of things to come. Miller has never started a professional game so the Rockies are unlikely to be able to stretch him out, but in short stints he can contribute to the new, deep Rockies pen. There are a lot of ifs for the 2016 season, but the pen will undoubtedly be better. With the improved starting pitching and the improved pen, the Rockies won’t suffer death by horrible pitching again this season. Author elfuego25Posted on February 29, 2016 Categories bullpen, pitching, relief pitching4 Comments on The Rockies bullpen for 2016 – it’s better than you think. No, really! What does the Rockies starting rotation look like for 2016? The talk in Colorado every off-season is about whether or not the Rockies will have enough pitching to compete. Interestingly, baseball talk shows, like MLB radio, often mention that the Rockies can’t sign a free agent pitcher because pitchers universally see pitching in Coors Field as career death. It’s been a long time since the Rockies signed a top-notch free agent starting pitcher. If you have lived in the Rocky Mountain area long enough then you probably remember the signing of Mike Hampton and Denny Neagle in an attempt to buy a starting rotation. If you remember that, then you’re unlikely to have forgotten how horribly it turned out – but was it really that bad? In 2001, Mike Hampton pitched a good half season, making the All Star team, but then he allowed a .953 OPS (on-base plus slugging) for the second half, basically turning everyone he faced into Willie Mays (Mays had a career .941 OPS). His second (and last) season in Colorado was even worse as his ERA jumped from 5.41 to 6.15. Ok, so Hampton didn’t work out. The undersized lefty (he is 5’10) walked a decent number of guys before he got to Coors field – 4.1 per nine innings for the Mets in 2000 – and that didn’t change in Colorado. He also wasn’t the kind of pitcher to limit the number of hits he gave up, although that number increased with the Rockies, especially during his second season. What changed the most was the number of home runs that he allowed. Since his rookie season, Hampton had kept his home runs allowed per nine innings under 1.0. In fact, in the two seasons before coming to Denver, he posted home run rates of 0.5 and 0.4. His two seasons pitching at altitude saw those numbers jump to 1.4 in 2001, and 1.2 in 2002. Combine that with the walks, and you have a pitching stew that tastes like the bottom of your shoe. It probably should not have been a surprise that Hampton wouldn’t work out based on what he brought to the table. Denny Neagle signed the same year as Hampton, making quite a splash for the young team. Neagle had pitched for five teams by the time he made his way to the Mile High City, making the All Star team twice and garnering votes for the Cy Young twice (finishing 8th and 3rd). Unlike Hampton, Neagle gave up home runs at his previous stops like a guy – well – like a guy who gave up a lot of home runs. For his career he averaged 1.2 long balls per nine innings, allowing 1.9 per nine in 1999 and giving up 31 home runs in 2000. His walk rates were better than Hampton’s over his career – 2.8 per nine innings for Neagle and 3.6 per nine for Hampton. Still, who thought it would work to bring a guy into Coors Field – a notorious launching pad – who gave up home runs at a rate of more than one a game? And yet it did, for the most part. Neagle’s FIP (his ERA if you remove events he can’t control, like fielding) was 5.63 and 4.90 in the two seasons before he arrived in Colorado, and in his first two seasons with the Rockies it was 4.81 and 5.00. He blew out his elbow and was done pitching the next season, but for two years Neagle gave the Rockies exactly what his most recent stats said he would. It’s one thing for pitchers to shun contract offers from the Rockies for fear that their ERA will balloon and they will be unable to find a job after a stint in Colorado. It is quite another for the Rockies to be gun shy about signing free agent pitchers because of the belief that it won’t work out. Rockies management would never say out loud that they are afraid to sign free agent pitchers, so this might just be one of those things that sports talk guys invent to have something to talk about to fill 24 hours of baseball talk. It just seems that a team that struggles so much with pitching would always be in the conversation for starting pitchers during free agent season, and you just don’t hear them being in the mix for the big guys. This off-season the Rockies signed two guys for their bullpen and traded for another, but were not prominently mentioned in the discussions for the high or even mid-profile starting pitchers who were on the market. At some point the Rockies will either need to develop quality starting pitchers, trade for them, or sign them as free agents. The Rockies have gone the way of development for a few seasons now, and have a few arms who have put in their time in the minors and are ready to try their hand at pitching at over 5000 feet. There are also a couple of kids in process who look like they could be really good eventually. In 2016 though, the rotation is likely to be anchored by a guy who moved around a lot before he succeeded, and came up in another system – Jorge De La Rosa. The last three seasons, De La Rosa has crafted ERA+s (park adjusted earned run average relative to the league) of 112, 139, and 134, where 100 is what you would expect from a league-average pitcher. He has now achieved that six times in Colorado, making him one of the few pitchers who can claim to have succeeded long-term pitching in the thin, mountain air. Since returning from Tommy John Surgery in 2012, the 6’1 lefty from Monterrey, Mexico has reduced his walk rate with three seasons of 3.3, 3.3, and 3.9 – all under his career rate of 4.1 free passes per game. He has notched at least 26 starts in each of the three seasons post-surgery, and should hit that mark again if he can remain healthy. 32 starts for De La Rosa doesn’t mean 200+ innings – it never has. In his two 32-start seasons he has hit right around 185 innings. You will see a trend here, as De La Rosa led the team in innings pitched in 2015 with 149. If he hits his projection next season, he will amass around 170 innings pitched. If De La Rosa throws 170 innings he will help out the bullpen, and hopefully not lead the team again as he is 34. Behind the consistent De La Rosa, there are a lot of questions. Chad Bettis is likely to make 30 starts for the Rockies and if he manages even a little growth, it will give the Coloradans one of the better 1-2 punches at the top of the rotation that they’ve had in a few years. Bettis made eight starts in the minors before coming up to stay. He made 20 more starts for the Rockies from that point on. Bettis stayed healthy last season, and finally showed success in the majors posting an ERA+ of 110. Like De La Rosa, Chad walks about three per nine, and allows about a home run a game. The two hurlers also have similar strikeout per nine innings numbers with both men sitting in the seven to eight range. What Bettis doesn’t have is history, as 2015 was his first major league season with positive value. His splits – first half of the season versus second half – look like he was getting better as the season wore on (his ERA actually was better in the second half – 4.91 in the first half versus 3.18 in the second half), implying that his 2015 numbers weren’t a fluke, but a display of actual growth. Bettis is 26 so he could be just what the Rockies need – a young, controllable starting pitcher. Jonathan Gray is a 6’4 righty, who throws hard – his peak fastball comes in around 97.4 MPH according to Baseball Prospectus – surfaced late last season and put up decent peripheral stats, like his 8.9 strikeouts per nine innings and 3.1 walks per nine innings. He also kept his home runs per nine a tick under 1.0 (.9), and his peripherals for the big club were in line with what he did in AAA. Not everything came up roses for Gray as he gave up five and a half runs per game for an ERA+ of 85, but learning to pitch in the majors at Coors Field is as hard as it gets. The Rockies should be happy with his first effort for the parent club, and be patient with the results. This season the Rockies will look for him to improve upon his debut, and hope he works 170-plus innings to help them stabilize their rotation. After those three, it gets pretty dicey. If Eddie Butler grabs the 4th spot and hangs onto it, that will be a good sign for the Rockies, because Butler was on track to be a rotation stalwart before shoulder injuries ruined his 2014 season. Last year, his numbers looked more like 2014 than his stellar climb to AA in 2013. Butler posted strikeouts per nine innings above 8.0 at each stop in 2013 while cranking out mid-90’s fastballs. 2014 and 2015 saw that strikeout number fall to just above 5.0 in the minors, and a sickly 1.7 with the parent club. Butler’s walk rates were solid in 2013, including walks per nine innings of 2.8 at the high A level, and 2.0 in AA. Last season that number bumped up to 3.6 in AAA and 3.9 in the majors. Butler seemed lost all season, but at 24 the Rockies hope he can come all the way back from injury and find his command. Nobody can succeed in the big leagues when they only strike out two more men than they walk (44 strikeouts to 42 walks in 2015). He is only 25 so there is some time, but he needs to come at least part of the way back this season to remain in the Rockies’ plans. Tyler Chatwood is now 26, and the last time he threw a baseball in anger in a major league park he was 24 and trying to build on a previous solid campaign in the majors. Ulnar collateral ligaments are bastards, and few people know that like Chatwood, who has had his replaced twice. The procedure known as Tommy John surgery has become commonplace for pitchers, and is almost a developmental milestone these days. There are now many pitchers in the majors who have had the procedure and have experienced success post-surgery. What teams are starting to see now are pitchers who have had the surgery twice. This is relatively new territory, and it is unknown how much mileage pitchers can get from round two of elbow reconstruction. Chatwood came over from the Angels in 2011 for catcher, Chris Iannetta, and at 22 started 12 games for the Rockies. The following season, Chatwood proved himself up to the challenge of pitching at altitude, posting an ERA+ of 142 in 20 starts. In 2014 Tyler only managed four starts before returning to the surgeon. It was a devastating blow for the Rockies, who it seemed had found a solid, mid-rotation youngster whom they could control for years to come. Chatwood had shown good growth each year. The table shows that Chatwood was striking out more batters, showing better control, and allowing fewer base-runners every season. If he can pick up where he left off – and again there is evidence that many pitchers have come all the way back from Tommy John surgery – then he could be a mainstay in the Rockies’ rotation, holding down the 2nd or 3rd spot. He will likely need some time to build his innings up, but counting on him for 160 innings this season is not a crazy dream. Several humans made starts for the Rockies last season, some of whom will be looking to do so again this season. David Hale, Jordan Lyles, Chris Rusin, and Tyler Matzek are the most likely candidates to garner starts in 2016, with Tyler Andersen representing the dark horse candidate. Hale is 28 and has posted decent peripherals – 7.0 k’s and 2.3 walks per nine innings last year in Colorado – but hung a 6.09 ERA on his stat sheet too, probably because of his WHIP of 1.468, and his home runs per nine innings of 1.6. Looking at his minor league numbers, it is hard to get a grip on what to expect. There are years with too many walks, other years giving up too many hits, and he got torched last season in Albuquerque. If the reduction in walks is real, and he can figure out how to hold onto the good peripherals while getting his home run rate closer to 1.0, then the Rockies might have something, although that is a lot of ifs. Matzek has some serious control problems, to the point where he can’t pitch effectively in any role at this point. That is a huge disappointment for the Rockies who got a solid 2014 in the rotation from the 24 year old. In 2014 Matzek, a 2009 first round pick, posted a 4.05 ERA for the Rockies, while reducing his walks per nine innings to 3.4 in 19 starts. Matzek is a big guy at 6’3, 230 who should be able to handle a substantial workload, so when he completely unravelled last season, the Rockies must have wrung their hands. Matzek has battled control issues for his entire career, but had made progress until the 2015 collapse. If the now-25 year old can get on top of his mechanics or whatever it is that caused him to lose the plate last year, then the Rockies have another solid, and possibly spectacular, starting pitcher. When he is on, Matzek strikes out batters by the truck-load, pumping mid 90’s fastballs with ease. Chris Rusin was a waiver wire pick up from the Cubs in 2014. Chicago was right about waiving him as he is eminently hittable. What he does, that the Rockies desperately needed last year, is eat innings, making 22 starts and notching 131.67 innings. He also kept his walk numbers down under 3.0 per nine innings. His ERA+ was 88 – not bad considering he gave up 11.6 hits and 1.3 long balls per nine innings. He is a good guy to have at AAA, because he can keep you from burning through the bullpen if other, more talented pitchers get hurt. Colorado was counting on Jordan Lyles to contribute innings last season, but the 24 year old only made 10 starts before emigrating to the disabled list with a season-ending toe injury. Lyles had made at least 22 starts each of the previous seasons – something the Rockies could have used desperately last year. He has yet to have a park adjusted ERA above 100 and some of his peripherals are moving in the wrong direction, so even though he is only 24 you have to wonder if he is ever going to become effective at anything other than eating innings. His walk rate has increased every season in the majors while his strikeout rate has trended downward at the same time. One positive note has been his home run rate per nine innings, which has dropped every season from 1.3 in 2011 to 0.4 in his 10 starts last year. If he can return to the form he showed in 2014 and maybe improve a tick, he could become a usable starter (damning with faint praise!). The injury was to his toe, not his arm, so as long as the toe healed there is no reason to expect that he won’t get back to where he left off – except for maybe some of those ominous peripherals! He is one guy on the Rockies who will be pulling for anyone other than Jose Reyes to play shortstop, because Lyles gives up a lot of ground balls. Spring training and the health of many Rockies pitchers, including his own, will decide whether Tyler Andersen will make the jump from AA to the majors in 2016. Andersen was a first round pick in 2011, and at 26 has performed well at every stop in the minors. The issue with Mr. Andersen has been health. The 6’4 lefty has made 20 starts in a season only twice and missed all of 2015, but also has never had a WHIP over 1.15, nor an ERA above 3.25. When he can pitch he does it quite well. All of his peripherals are excellent from his career strikeout-to-walk ratio of 2.5 to 1, to his home run rate – 18 in 328 innings. What Andersen hasn’t done is pitch at altitude. The Rockies AAA club is in Albuquerque at an elevation comparable to Denver’s. It is likely that Andersen would have pitched there at some point last season had he not suffered an elbow injury, so the true test will come next season. If he can maintain his excellent numbers – park translated of course – as he moves closer to heaven (and the International Space Station), then the Rockies could very well have a new top of the rotation pitcher on their club. It isn’t as bleak as it seems for the Rockies starting pitching, although the health dice have to come up in their favor a lot for them to have a decent rotation. It is always a gamble to predict good times for anyone pitching in Colorado, but the Rockies starting pitching will almost definitely be better than it was last season and could become a strength if the young first round picks can grab jobs and stay healthy. Look for a rotation of De La Rosa, Bettis, Chatwood, Lyles, and Andersen or possibly Butler, to be the best group top to bottom that the Rockies have run out there in several years. If, on the other hand, Hale and Rusin steal 20 to 30 of those starts, then the Rockies are in serious trouble. Author elfuego25Posted on February 25, 2016 Categories pitching, starting pitchingLeave a comment on What does the Rockies starting rotation look like for 2016? RIP Tony Phillips: Greatest Utility Player Ever? Tony Phillips, a major league ballplayer whose career spanned 18 years (1982-1999), passed away on Friday, Feb. 19th. He was one of my all-time favorite players. He was so valuable to the teams he played for, not only just because he was a really good player, but because he could help fill a hole on any team wherever needed. Was Phillips perhaps the greatest utility player of all time? He certainly has a great argument. First of all, what defines a “utility player” anyway? When one thinks of a utility player, one would likely conjure up a picture of a player who can play multiple positions, but isn’t good enough, either offensively or defensively, to start at any of them. If the player was good enough, then of course he would simply be installed as the starter at the available position. Tony Phillips certainly meets the first criteria: he could (and did) play every position on the diamond except pitcher and catcher. He played over 100 games at 2B, SS, 3B, RF, and LF, and 97 at CF. His best position was 2B, but he was no slouch anywhere on the field. As for the second criteria, well, Phillips doesn’t quite fit: the problem was that he was too good a player to truly be classified as a utility player. There were several years when he was the best player on his team, and certainly most years he was better than some of the other starters. Essentially, if Tony Phillips was on your team, you could immediately write him in as a “starter”… somewhere. Every team has holes, but with Phillips, no matter where the hole was, Phillips would fill it. Need a third baseman? Tony Phillips can play there. Uh oh, your second baseman got hurt and is out for the year and you have a decent third base option in the minors, but no second base option available whatsoever. No problem! Tony Phillips can just slide over to second without a hitch. That is so invaluable to a team! During his long career, Phillips had some truly great years. His 1993 in Detroit, in which he compiled a .443 OBP on the basis of a .313 BA and 132 walks, stands as his best season: a value of 5.4 Wins Above Replacement (WAR). However, he had four other seasons with a WAR above 3.7, an all-star level performance. Sadly, Phillips never made a single all star team, but one only needs to look at the 1996 Angels to see how much he could mean to a team. The Angels went 78-67 in a strike-shortened year in 1995 with Tony Phillips (one of his best years), but slipped to 70-91 in 1996 with essentially the same team… minus Tony Phillips. Perhaps my favorite Tony Phillips year, however, was his last one: his 1999 Oakland A’s season. In that year, Phillips hit .244/.362/.433 in 484 plate appearances, which contributed a solid 2.2 WAR to the team. That’s nice in itself, but Phillips did this while playing every position on the diamond during that year (except pitcher and catcher). There simply has been no player in history who has provided this level of value *and* versatility. And also so very underrated: Phillips 50.8 career WAR is higher than any player not elected to the Hall of Fame! RIP Tony Phillips. Calling him a utility player may be selling him short, but if he was, he was one of the greatest. It’s not easy to define exactly what he was, except that he was extremely valuable, and there may not be another like him for a very long time. Who will patrol the Rockies’ outfield in 2016? When Is a Gold Glove Worth Its Weight in Gold? The Rockies outfield is big. By “big” I mean spacious, not inhabited by large humans, although I can’t speak to what goes on there at night. They have more fair territory than any ballpark in the majors – .18 acres larger than the average park. 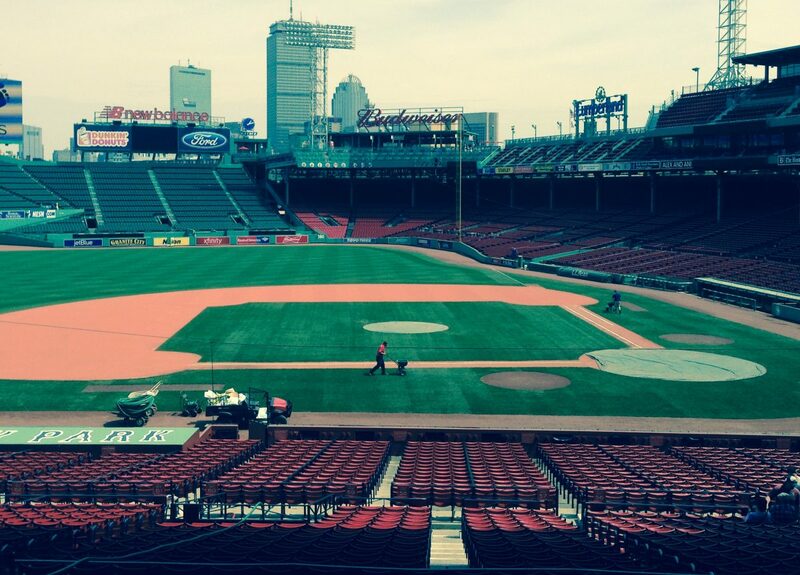 It is almost a third of an acre bigger than Fenway (according to Cork Gaines on Business Insider’s website). Outfielders in Coors Field have a lot of ground to cover. Perhaps Rockies’ outfielders should be allowed to play using roofless golf carts, or hover boards just to make it fair. So the question is, should the Rockies pay more attention to outfield defense than other teams who play in wee bandboxes? And that other question that you were just thinking – can a stellar group of defensive outfielders plying their trade in Coors Field have a significant impact on the pitching staff – more of an impact than a similar outfield playing in Fenway (the smallest park in the majors by area), for example? I don’t have the tools to answer either of these questions definitively, but the logic test seems to say that yes, a great defensive outfield should have a greater impact playing in Colorado than anywhere else AND the pitchers would very likely incur a significant benefit from superior fly-chasers. While it is tempting to fill the lineup with big, beefy dudes who can hit the ball very, very far and just hope for the best when they put their gloves on, logic dictates that the Rockies need to pay a lot of attention to outfield defense. Good outfield defense will make it easier for their young pitchers to develop because they won’t get shellacked quite as often, and their pitchers are more likely to stay healthy because the improved defense will decrease their pitch counts. Again, tough to prove, but let’s assume that having the biggest park in the majors means you need to have outfielders who can cover a lot of ground, especially in center-field. Keep that in mind as we explore the 2016 Rockies outfield. The Rockies’ center-fielder last season, and most likely in 2016, is Charlie Blackmon. “Chuck Nazty” is fast, as evidenced by his 84 career stolen bases and 76% success rate when he attempts to steal. He went 43 for 56 last season – 77%. He has some power and hits for average, as evidenced by his 17 home runs to go along with a slash line of .287/.347/.450 last season. His offensive numbers the last two seasons have been pretty similar, except for this year’s increase in triples (from three in 2014 to nine in 2015) and a smaller increase in walks from 31 to 46 in the same time frame. Blackmon almost always bats in the leadoff spot, so the extra walks help. A .347 on-base percentage is serviceable from a leadoff hitter, but not star level. But how does Blackmon fare defensively? I compared his range factor per nine innings last season to the league average for other center-fielders. It is a simplistic stat that adds putouts and assists, and then divides them by innings played. Blackmon’s range factor per 9 innings last season was 2.35. That means that he averages a combination of 2.35 putouts and assists per game. By comparison, the average center-fielder in the NL put up a range factor of 2.41 – a touch better than Chuck’s numbers. Looking at Defensive Runs Saved (DRS), Blackmon actually cost the Rockies 7 runs with his glove, so using those two numbers to look at Blackmon’s defensive work makes him look a bit below average. To put Blackmon’s defensive numbers into perspective, perhaps a bit unfairly, let’s compare him to Kevin Keirmaier, the center-fielder for the Rays. Let’s look at the same two statistics, range factor per nine innings and DRS. Kiermaier put up a range factor of 3.26 in Tropicana Field (and the other parks he visited – most likely including National Parks). That’s a big edge over Blackmon who again posted a 2.35 range factor. That’s an extra play a game for the whole season. It’s Kiermaier’s DRS that really puts Blackmon’s season in perspective. The Ray’s center-fielder saved his team 42 runs last season – that’s 49 more than Blackmon. If you use the rule of thumb that 10 runs is a game, Kiermaier won the Rays five games with his glove as compared to Blackmon. That’s huge. The unfair part of the comparison is that I compared Blackmon to the best centerfielder in the game. Not many pitchers would like to be compared to Clayton Kershaw. What the comparison does is point out a mistake the Rockies are making – focusing on offense at the cost of defense at a position they desperately need to be a stellar defensive spot. I understand that there are not a lot of Kevin Kiermaiers out there – his season was the best in terms of DRS of any player at any position in the 10 years that John Dewan and his crew have been measuring it. You would, however, expect that the Rockies would run someone out to center-field every year who finished with positive defensive numbers considering how much they have struggled with pitching, and how important center-field defense is to supporting pitchers. The Rockies seemingly put themselves in a position of outfield wealth this off-season when they signed Gerardo Parra to a four year deal – the fourth year being an option year. Parra has consistently been one of the best defensive outfielders in baseball posting DRS numbers of 13, 14, 9, and a whopping 37 from 2010 through 2013. The last two seasons have been very un-Parra-like as he has posted DRS score of 0 and -10. The Rockies are banking on a return of the old Gerardo on defense. They just traded starting left-fielder Corey Dickerson for closer Jake McGee, ensuring a starting job for Parra, who is 28. The question is where will they play him now that they have him? If the Rockies are truly expecting his defensive numbers to jump back up to the level they were at through 2013, then it would make sense to move Blackmon to left and install Parra in center. If the Rockies don’t believe that he is a Gold Glove defender (he won the award in 2011 and 2013) then why did they sign him for four years? Looking at career numbers, it is clear that Parra is the superior defender, in spite of last season. Offensively, Parra had his best season ever putting up a slash line of .291/.328/.452 for the season split between two teams – very similar to Charlie Blackmon’s season. Parra doesn’t walk much – 28 times last season, and strikes out about as often as Blackmon, about 100 times a season for the last two years. So really, Blackmon and Parra will probably put up similar numbers on offense with Parra besting Blackmon with the glove, meaning you have to start them both – Parra in center and Blackmon in left most likely. That leaves right-field. Last season, Carlos Gonzalez was the right-fielder for 151 games. He and Nolan Arenado are the faces of the franchise since Troy Tulowitzki was traded, and he has won three Gold Gloves in the outfield. Last season he was finally healthy enough to come to the plate 608 times, the second highest total of his career. His fragile health is the reason the Rockies are considering moving him from right field to first this season. Assuming they don’t, Cargo is the right-fielder. Honestly he is not a Gold Glove outfielder – last season his DRS was 5, which is solid. Put him in the outfield with Blackmon and Parra and you have a good, not great, defensive outfield, although improved over last season’s outfield, as the now traded Corey Dickerson, who put up a DRS of -6, will be replaced by Gerardo Parra. Offensively, there is no outfielder on the Rockies major league squad or at AAA who can contribute anything close to what Cargo can, but neither can they field a first baseman who can hit like Cargo. Kyle Parker cleared waivers and was recently sent back to AAA – nobody claimed him – after an uninspiring 2015. Parker hit like a pitcher, with a .179 batting average and .311 slugging in 112 plate appearances. He is better than that, but disappointingly for a 2010 first round pick, not a major league regular. Brandon Barnes logged a lot of playing time because of Corey Dickerson’s injuries, but that didn’t go well for the Rockies. Barnes makes a lot of outs. Last season he posted an on-base percentage plus slugging (OPS) of.655 which is pretty awful for a left-fielder. Barnes’ season was an improvement offensively, including his first on-base percentage above .300 (.314). Barnes is most likely a 5th outfielder or AAA option on a good team. He is an average to slightly below-average glove in all three outfield spots and has a wee bit of power. That leaves two options to replace Gonzalez in the outfield – Mark Reynolds and Ben Paulsen. Neither man is much of an outfielder and both have significant offensive limitations. Reynolds is a power-hitting, out-making, strikeout machine, while Paulsen is a nice fourth outfielder/backup 1st baseman who is not a championship level starter at any position. There is not really a good answer for the Rockies until some of their young outfielders, particularly David Dahl and Raimel Tapia get past AA. There is still time for Colorado to sign a low cost, short-term free agent to hold the spot warm at 1st base or in left, until the youngsters get there. Most likely the Rockies will have an easier time finding a 1st baseman – there are rumors about a Pedro Alvarez deal – than an outfielder, who can beat what the Rockies have. That would leave Paulsen as a strong bench player, and keep Barnes riding pine until someone gets injured. That said, you can expect the Rockies to stick Cargo back in right and cross their fingers. If they keep Cargo in right-field, employ a flotilla of sports medicine experts, and move Parra to center, shifting Chuck Nazty and his tats to left field then we can test the theory of improved outfield defense helping Rockies pitching (which it will, dammit!). Author elfuego25Posted on February 19, 2016 Categories first base, outfield2 Comments on Who will patrol the Rockies’ outfield in 2016? An Update on The A’s, Who Can’t Seem To Sit Still! Well, what do you know – the A’s went and made some more moves before the season started. Yeah, not really a surprise. So let’s take a look at what the moves mean to the A’s 2016 lineup. In an attempt to make it easier on the A’s PA announcer, Beane/Forst traded Bret Lawrie to the White Sox for two minor league pitchers. There is chatter that says Lawrie was moved because he was a negative clubhouse factor. That move leaves most of the infield picture settled, with Jed Lowrie at second, Marcus Semien at shortstop, and Danny Valencia at third. It isn’t a surprise that someone was moved. Once the A’s acquired Lowrie, the writing was on the wall for Lawrie or Valencia. Lowrie is a known commodity, whereas Lawrie still had some growth left – specifically power potential. It removes a lot of uncertainty in the infield in Oakland, but also means there won’t be much chance for anyone outperforming their projections at second base or third base. The other big move the A’s made actually complicates the first base situation even though it doesn’t involve an infielder. Oakland picked up Khris Davis from the Brewers of Milwaukee for two solid prospects – Jacob Nottingham, the catcher Oakland got in the Kazmir trade with the Astros, and Bubba Derby, a 6th round pick last year who put up gaudy strikeout numbers in the lower levels of the A’s farm system in 2015. Davis will be the everyday left-fielder, which will of course shake up the outfield situation – we will get to that in a bit. What it also does is mess with the first base situation. Mark Canha was likely to get a lot of time in left unless Coco Crisp made a remarkable recovery from his chronic neck ailments. Canha also plays first base, so what is likely to happen is that he and Yonder Alonso will fight for playing time. If Alonso suffers an injury and misses significant time (which is a thing for Alonso), then Canha takes over. It will be interesting to see what gets sorted out in spring training. The A’s have a glut of left-fielder/first baseman types who are big question marks. One thing that hasn’t changed is that the health of Coco Crisp, their highest paid player, will determine a lot of personnel moves. The acquisition of Khris Davis and his extraneous ‘h’ means that all the intrigue involving Jake Smolinski, and Andrew Lambo is virtually over. Davis hit 21 home runs in 259 plate appearances in the second half of the 2015 season making him the biggest power threat in the A’s lineup. The former Brewer has been an average, to slightly below average, defender in left field for the last three seasons with DRS (defensive runs saved) values of -2, 4, and -6 in 2013, 2014, and 2015. Last season he showed league-average range in left at 1.78 (the league average was 1.79). Davis put up much better walk totals last year than he had in the past, with 44 free passes in 440 plate appearances as opposed to his 2014 totals of 32 walks in 549 plate appearances. Davis swung less often than he had in the past, displaying improved plate discipline. His minor league record shows multiple seasons of OBP’s above .400, so maybe this is Davis finally making the adjustments to major league pitching, possibly explaining his breakout second half of 2015. Assuming Coco Crisp stays with the A’s, he will be fighting with Billy Butler for DH time, and with Lambo and Smolinski for an outfield reserve spot. Crisp can play centerfield, which neither Smolinski nor Lambo can manage. Coco can spell Burns in centerfield, or play there for an extended stretch if Burns can’t follow up his rookie breakout with another quality year. A healthy Crisp makes the A’s outfield much deeper, but it makes it unlikely that Smolinski and Lambo both make the team, unless the A’s manage to move Billy Butler or Coco Crisp. Crisp and Butler are owed a lot of money and had poor seasons last year, making a trade unlikely. On a sunnier note, Crisp being limited to fewer games in the outfield might mean he and his useful bat make it through the season, which would make the bench deeper. Last season the A’s gave Sam Fuld 325 plate appearances, even though his slash line was .197/.276/.293. Fuld is useful for his glove, but has lost all of his offensive value since coming to Oakland. He has put up back to back seasons with an OPS between .568 and .569 – not the kind of consistency you want from your fourth outfielder. He is the kind of guy you carry if you decide you have room for a 5th outfielder who is a glove-only option, and that doesn’t happen much these days as teams are more likely to carry 13 pitchers, and only 12 position players. There is more to come for the A’s this off-season – probably in the next few days – because the A’s designated Sean Nolin for assignment. This means that they have to trade him within 10 days, or hope he clears waivers so they can send him down to AAA to start the season. The team is in this position because they needed to make room on the 40-man roster when they acquired Khris Davis. Nolin is too valuable a piece to just lose for nothing, so we have to assume the A’s have a deal in the works that involves the former Blue Jays’ starting pitcher. The only other possibility is that the A’s are hoping that his mediocre numbers in his six starts last season when he was called up, mixed with his lost time due to injury in 2015, will make teams leery about making a waiver claim on the 6’4” lefty. That seems like a really big gamble to take, so the only logical explanation is that the A’s will be trading him this week. If they were going to expose someone to a waiver claim without a deal in place, Felix Dubront or Aaron Brooks would be better candidates, since losing them wouldn’t represent a hit on the A’s future (or their present, for that matter). The A’s got better for next season, this is certain. They just improved their offense, while giving back prospects, including Nottingham, who had just been named the 66th best prospect in baseball. It begs the question: what direction are the A’s going? Davis is under team control for the next four seasons, but that involves arbitration and possibly some huge raises – likely one of the reasons the A’s moved last season’s MVP Josh Donaldson to the Blue Jays for prospects. Giving up Nottingham might have been the only way the A’s were going to nab a cleanup hitter without losing Franklin Barreto, their top prospect, or Sean Manea, their top pitching prospect. It isn’t what a rebuilding team does though. So do the A’s have enough to make a run in 2016? They have completely rebuilt their major league bullpen, and picked up a cleanup hitter while stabilizing their outfield picture for the next few seasons. They have improved their bench depth and are hoping for health to improve their starting rotation. They do not look like a rebuilding team because clearly they aren’t. This is what it looks like when a small-market team tries to assemble the best roster they can on a shoestring budget so that they can make a run if the pieces all fall into place. The A’s are unlikely to nab a playoff spot in 2016, but they have put themselves in a position to compete, and in poker parlance, they now have a chip and a chair – they are in the game. Author elfuego25Posted on February 16, 2016 Categories infield, outfield, pitching2 Comments on An Update on The A’s, Who Can’t Seem To Sit Still! The Rockies Infield in 2016: What? No Tulo?! At the start of last season, the Colorado Rockies had a chance to have three Gold Glove infielders playing at the same time. How often has that happened? More often than you’d think, actually. In fact, one example, the 1973 Orioles had three guys in their infield win it in the same year they played together. Brooks Robinson (3rd base), Mark Belanger (shortstop), and Bobby Grich (2nd base) all won the Gold Glove in 1973 playing for the Orioles – their centerfielder (Paul Blair) won it in 1973 also. Still, it is a cool thing to have, and not exactly common. The Rockies still have Gold Glove winners D.J. LeMahieu and Nolan Arenado, but are currently stuck with an extremely expensive albatross of a shortstop in Jose Reyes after trading away Troy Tulowitzki, the third member of the Rockies’ Gold Glove infielder’s club. Until last season, Reyes had been a reliable 2.0 to 4.0 WAR producer, mainly because of his bat. The last time he picked up at least 1.0 defensive WAR was in 2007 when he was 24. Using DRS (defensive runs saved), Reyes has cost his team between 4 and 16 runs a season every year since 2010, including eight runs last season in 116 games. It was widely speculated that when the Blue Jays included him in the Tulowitzki trade, the Rockies would turn around and trade him for more prospects since the Rockies are rebuilding and have no desire to keep a declining player who is making $22 million a year. That curiously didn’t happen, creating speculation that the Colorado management didn’t have a cohesive plan. The situation darkened when Reyes made comments indicating that he had no interest in playing for the Rockies, and then was accused of domestic abuse during this off-season, making him about the least tradable player in all of baseball. He goes to trial in April. The Rockies had weakened arguably their greatest strength in an attempt to acquire prospects and undoubtedly thought they could move Reyes. Maybe it will work out for them, but sadly the best outcome might be for Reyes to be suspended for a good chunk of the season saving the Rockies part of the $22 million they owe him in 2016. In the meantime, the Rockies are drooling over their shortstop of the future, Brendan Rogers, their first round pick in last year’s draft who has already risen to the 20th spot in all of baseball on BP’s top 101 prospect rankings for 2016. As if Rogers wasn’t exciting enough, they have another young shortstop, who is much closer than Rogers to being ready for the majors, in Trevor Story. Story repeated AA last season and spent a half season in AAA showing a solid glove, good range, and donating 20 baseballs to fans watching him from the outfield seats. Story’s slash line was .279/.350/.514 between his two stops in the minors in 2015. Half of that was accomplished in the hitter’s paradise of the Pacific Coast League, but for a shortstop who has a solid arm and solid range and is only 23, that is something to be excited about. In spite of Story’s power and speed – he is also a high percentage base-stealer (probably a great cook too!) – he is considered somewhat of a disappointment with the bat because of his poor strike zone judgment. The shortstop struck out 141 times last season in 512 at-bats, which was a solid improvement from 2014 when he struck out 144 times in only 396 at-bats. 2013 was even worse – he struck out an earth-shattering 183 times in 497 at-bats at the high A level. Story walked 60 and 51 times respectively in 2014 and 2015 so it isn’t all bad news, but nobody can strike out that often in the minors and claim to be ready for the better pitching at the major league level. Good news – Story repeated high A and improved dramatically, then did the same with AA, so he is capable of great growth. That’s good news for the Rockies, who are currently stuck with Jose Reyes through the 2017 season (there is a $4,000,000 buyout for 2018) unless he can regain value this season and get himself traded. If Reyes stays with the Rockies through 2016, Story has a little time to repeat AAA and nail it like he has done in the past with lower levels. Rodgers spent his first season collecting a baseball paycheck last year in the Pioneer League, so Story likely has a couple/three seasons to establish himself before being caught from behind, if the Rockies give him a chance. If Reyes gets suspended for a long stretch, then put your money on Story to get his chance. DJ LeMahieu was Tulo’s full-time keystone partner for the last three seasons and collected the aforementioned Gold Glove in 2014. DJ saved the Rockies 17 runs that year at second base, but dropped off to 3 runs saved last season – still solid. What he did for the first time last season was contribute with the stick, creating 75 runs, 28 more than his previous high RC. LeMahieu was good for 2.0 offensive WAR and 2.3 WAR overall – his first season above 2.0 (1.4, 1.2, and 1.5 in 2012, 2013, and 2014 respectively). His slash line of .301/.358/.388 is good work for a slick-fielding second baseman. If he can repeat those numbers, or continue to improve (he is 27) then he might continue to make the All Star Game like he did for the first time in 2015. The beast at 3rd base, Nolan Arenado, won his first Fielding Bible Award – oh – and his third Gold Glove in his third season in the majors in 2015. Arenado has saved 64 runs in those three seasons besting Josh Donaldson, Manny Machado, Adrian Beltre, and Kyle Seager for total runs saved since 2013. Those guys won the last three Fielding Bible Awards and/or Gold Gloves. Arenado has range and a cannon for an arm, and great feet to set up every play. He also is willing to give up his body as evidenced by a couple scary forays into the stands making catches on foul pops last season. “Sharknado” put up 5.8 worth of WAR with a huge breakout year. His glove is old hat by now, but he finally hit the way the Rockies have been expecting. Arenado led the league in home runs with 42, RBI with 130, and total bases with 354, posting a slash line of .287/.323/.575 (an OPS of .898) and finishing 8th in MVP balloting. His first half was a little better than his second half (.926 OPS versus .866 OPS) but he was generally consistent from start to finish. Arenado has established himself as the star of the Rockies, and remember he is only 24, so he is here to stay. It used to be that every year you could just write Todd Helton’s name into the first base spot and be done with it. Since 2011, the last season Helton put up numbers worthy of a starter, the Rockies have been doing a lot of mixing and matching of first basemen. Only Justin Morneau’s 3.2 WAR 2014 could be considered a big success. Next season looks to be another season of mixing and matching at first with the Rockies trying to decide between Ben Paulsen, Mark Reynolds, and Carlos Gonzalez, who has never played first base in the professional ball. Paulsen played 91 of his 116 games at first last season, but didn’t nail down the job. Ben was flat neutral as a defender at first, not saving or costing the Rockies even a tenth of a run, so it was up to his bat to swing the scale one way or the other. Paulsen was a 3rd round pick in 2009 and hit some in the minors, but that’s the problem – “some” just isn’t enough for first base. He accrued 0.8 WAR over the course of 116 games and 354 plate appearances in 2015, so he helped the Rockies win – kind of. The rule of thumb when using WAR is that 2.0 WAR is the mark of a starter and anything lower is bench player. Trying to extrapolate Paulsen’s WAR to a full season still has him falling short of the mark and based on his minor league numbers, what you see is pretty much what you get. His average, slugging, and on-base percentage marks last season were in line with what he’d done in the minors, and he is 28, so expecting much growth means you are a hopeless Rockies fan. The Rockies signed Mark Reynolds in December to compete for the first base spot, or get work as the corner infield backup man. Reynolds played mainly at first for the Cardinals last season, but also got on the field at 2nd, 3rd, and in the outfield. Reynolds is a masher who strikes out at often-historical rates – he holds the mark for strikeouts in a single season with 223 in 2009. He is also 4th, 7th, and 14th on the single season strikeout list. He is really good at striking out! He is also quite good at hitting home runs having notched seasons of 32, 37, and 44 along with four 20-plus seasons. So are all the long balls worth all the wind Reynolds stirs up around home plate? Part of the problem is that Reynolds registers all those strikeouts without accruing a decent number of walks to offset them. If he managed to pick up 80 walks to go with the home runs and whiffs (like he did in the middle of his career) then he would be a much more valuable player. As it is, his on-base percentages over the last three seasons have been .306, .287, and .315 which means dude is creating outs by the truckload. All those outs drag down his offensive value to the point where it is questionable whether you want him taking up a spot on your 25 man roster. Since 2010, Reynolds has been in the red for defensive runs saved every season but one – he saved six runs in 2014. So you can’t keep him around for his glove either, not that the Rockies are thinking that. If he gets regular playing time, Reynolds will hit home runs in Coors Field, of this there is no doubt. He will also strike out by the bushel and his glove will be no better than mediocre. The temptation for the Rockies will be to run him out there so fans can get excited by his moon shots, but he will likely be a sub 1.0 WAR guy like he has been every year since he registered 1.2 WAR in 2012. This off-season there has been talk of moving Carlos Gonzalez, the Rockies power-hitting left-fielder, to first to save his body some of the wear and tear that has put him on the disabled list enough in 2013 and 2014 to limit to 180 games played between the two seasons. Even at the start of last season Cargo’s balky knee was making him look old and limited and then he started to feel better and crushed the ball the rest of the way. The Rockies still might trade their expensive superstar, but if they don’t, they need to find a way to get him in the lineup as often as possible. A move to first base, where they don’t have an obvious solution, makes a lot of sense. Gonzalez is only 30 so he should have more 30+ homer seasons in the tank (40 last season). There is a cost to moving an outfielder with three Gold Gloves to the infield, but are the Gold Gloves legitimate? Gonzalez saved the Rockies five runs last year – not bad. Interestingly, his Runs Saved (RS) numbers have never supported his Gold Glove awards – not even once. He won the award in 2010, 2012, and 2013. His RS numbers in those years were 1, -13, and 11 respectively. Obviously the 2010 and 2012 numbers aren’t worth discussing – he clearly wasn’t the best defensive left-fielder in the National League. The 2013 numbers are good, but Starling Marte saved 24 runs that season significantly besting Gonzalez. It’s fair to say that Cargo is a decent left-fielder, but moving him away from left is not cause for the wringing of hands. Will playing first base help keep Gonzalez off the disabled list? It’s possible. Is it worth the gamble? Well, from an infield standpoint, it is hard to say how his glove will hold up, but assuming he is invested in learning the position, it is hard to believe that he wouldn’t be a huge upgrade over what the Rockies would otherwise run out there. It isn’t a straight math problem where you compare the options at first to the options in left and compare their numbers. If the Rockies get 200 more plate appearances out of Cargo by moving him to the infield then it is almost assuredly worth it. We will explore the question further when I write about the outfield situation next week. Author elfuego25Posted on February 10, 2016 Categories 2016, Colorado Rockies, infieldLeave a comment on The Rockies Infield in 2016: What? No Tulo?! What’s next for the Padres after a surprising 2015 season? The 2016 Padres: Um… So Now What? The San Diego Padres finally tried something new last season. Sure, it ended up being a spectacular failure that might have set the franchise back a few years… but hey, at least they finally tried *something*. For too long, FAR too long, the Padres have just been content with being “competitive”, which apparently meant being just good enough to win about 75 games or so, year after year after year. Every now and then, the Padres would catch lightning in a bottle and have an outlier of a season in which they actually had a chance to make the playoffs and do some damage. 2010 for example was one shining beacon of a season in the barren desert consisting of two lackluster seasons previous and five seasons hence. In that one single, shining moment (of the last *decade*, by the way), the Padres needed just one victory over the Giants on the last game of the season to make the postseason, but they couldn’t get it done. That the Giants then went on to win it all that year was particularly frustrating. Oh what could have been… but again, even that brief moment of glory is now 5 years in the rear view mirror. Previous to that season, and ever since that season, it has been 75ish wins of mediocrity year after year after year after year (you get the picture). For awhile now, the Padres have not really tried to win. Oh sure, they tried to make moves that they hoped would sorta, kinda work out, but these were the sorts of the moves that, if they failed, didn’t hurt the team much, but even if they succeeded, would just mean the Padres could trade a piece for C-level prospects, or even worse, sign the useful player to a multi-year deal immediately making him no longer a bargain, but rather an albatross. But again, they never tried to do anything to *win*. There was no plan in place; just the same ol’, same ol’, again and again and again. Note that this is the very team that signed Mark Prior to a one year contract a few years ago. It was only for a paltry sum of $1 million, and the Padres were hoping/praying that maybe, just maybe, Prior could recover from his myriad of injury problems and pitch some games. Didn’t happen… but hey, no big deal, right? It wasn’t like Prior was being counted on. This is also the team that acquired Carlos Quentin, and he turned out to be a really good hitter for the team, when he could play, which was not very often. Still, in general, that initial signing worked out, but then the team mistakenly invested in a multi-year deal for him, ignoring the obvious and considerable risks. So even though that move initially worked out, in the end, it cost the team precious resources. Then again, this is also the team that acquired Seth Smith in 2014, and he worked out pretty well, and the Padres were able to acquire a quality reliever for him eventually. But again, not in 2015! However, it took an otherworldly 2014 season to finally convince the Padres to do something different. The 2014 season was a rather unusual year for the Padres, to put it mildly. The results were their typical mediocre 75ish wins (77 actually), but how they got there was surprising. The pitching staff had an excellent year – a championship quality year even. The starting tandem of Andrew Cashner and Tyler Ross both put up #2 starter numbers. The bullpen, led by Joaquin Benoit and Huston Street, were terrific, and all told, the team gave up a paltry 577 runs, better than any other team in the league save the Washington Nationals. It was the best pitching season the Padres had posted since the Jake Peavy days of yore back in 2007. What made this turn of events particularly frustrating was that before the 2014 season, the Padres, in their typical Padre fashion, decided to roll the dice with oft-injured pitcher Josh Johnson. Johnson was just the sort of player the Padres adored: legitimately great pitcher for a few minutes a few years ago, but since then, injury after injury after injury. Johnson was given $8 million to do, as it turns out, absolutely nothing to help the team. That money could have been used to buy a hitter or two. For example, Nelson Cruz was available, also for $8 million. Nelson Cruz has his issues, but he was far less risky a proposition to bet on than Josh Johnson. Think Cruz’s 40 homers in 2014 would have helped the Padres a wee bit? Most of the time, assessing the deficiencies of a baseball team can be rather complicated. A myriad of factors must be considered, involving both intricate decoupling of hitting and pitching woes. However, after the Padres 2014 season, it was pretty easy to see the problem: FIX THE HITTING! The pitching – it’s fine. Most fans, including those fans who happen to own baseball teams, don’t enjoy watching a plethora of 1-0 losses, so the 2014 fiasco unsurprisingly resulted in a GM change. To completely butcher a Who song, the new boss was most assuredly *not* the same as the old boss. New GM A. J. Preller, much to the surprise of every Padre fan still remaining, decided to fix the obvious problems with the Padres immediately. He did not sign some washed up, injury prone stiff and call it the big move of the offseason. Preller made offseason moves that had been unheard of the San Diego area since the halcyon days of Trader Jack McKeon. When Preller was done, the Padres had a new outfield: Justin Upton in left, Wil Myers in center, and Matt Kemp in right. He acquired a new closer, Craig Kimbrel, arguably the best closer in the game. A new catcher was acquired in Derek Norris, as was a new third baseman, Will Middlebooks. The team even managed to sign a nominal ace – starting pitcher James Shields. And the cost for all of this? Nearly every single good, or even decent minor league prospect was shipped. Trea Turner, Matt Wisler, Max Fried, Mallex Smith, Jace Peterson, practically every top 20 minor league prospect, were all shipped off to other teams. It was clear: the Padres were going for it… RIGHT NOW! The fact that most of the incoming players were hitters made it clear that Preller had learned the obvious lesson of 2014. He was able to keep the pitching staff intact and in fact, even improved upon it (with the additions of Shields and Kimbrel). The hitting was definitely going to be improved (how could it not be?). So what happened? The Padres won three fewer games in 2015 than they had in 2014. How in the world could that have happened? The long answer is hopefully discerned in the following series of Padres blog entries. The short answer is simply this: The hitting did improve somewhat, but the pitching regressed mightily, and the pitching regression might very well have been tied to the abysmal outfield defense. And speaking of questions, how will the Padres fare in 2016? What lessons have they learned and how will they recover from their hugely disappointing 2015? Author elfuego25Posted on February 6, 2016 Categories 2016Leave a comment on What’s next for the Padres after a surprising 2015 season?